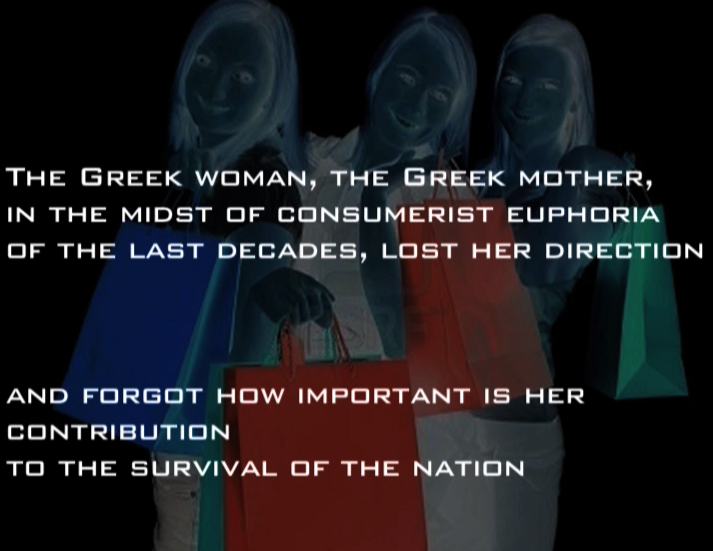 The video relates to both the condition and the effects of the current rhetoric regarding the Greek crisis. 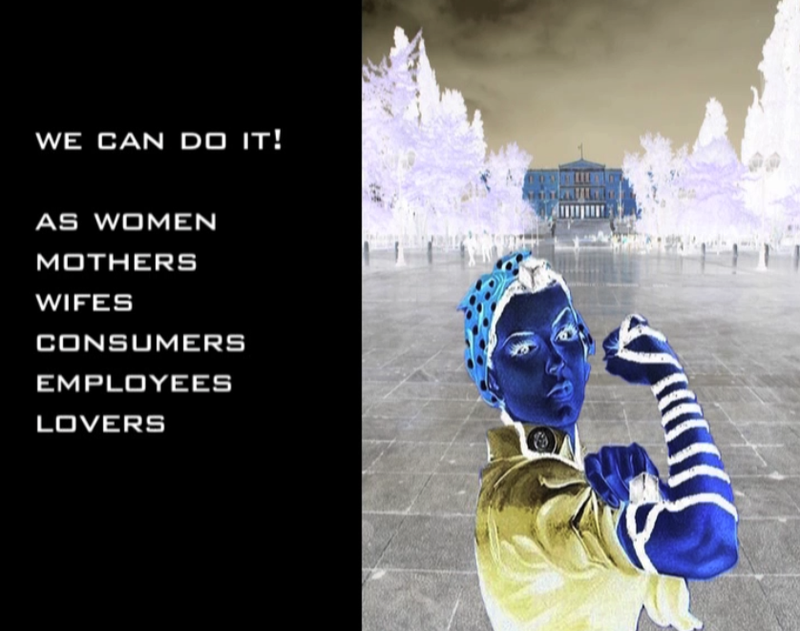 To unfold these we focus on the role of contemporary women in Greece in the midst of financial, social and political crisis. While the ‘Greeks’ (almost synonym to ‘laziness’, ‘expenditure’ and ‘corruption’) are called to prove that they are not the ‘bad side’ of Europe, women, one of the weakest groups of the Greek society, are expected to contribute to the country’s regeneration in different models. They have to embody new roles as workers, mothers, lovers…They have to “sacrifice for the country” and turn their precarity into capacity, competence and power, a mission impossible.